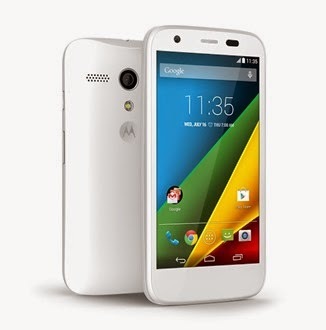 Just a few hours ago, Motorola has announced its brand new mobile phone device, and LTE version of "Moto G". I would like to inform you that the moto g was introduced by the company officially just after announcement of its Moto E in the UK. If we talk about its main features that will lead a consumer to buy is that "the new moto G has a MicroSD card slot" which was not available in its earlier devices. This may be one of the main features and factors that will force a buyer to buy this motel of the motorola in case they need such a MicroSD Card Slot and are fond of it. In addition of availability of the moto G with 4G LTE radio and the external memory card slot for additional storage holding you are getting the same specifications i.e a display of 4.5", 1.2 GHz quad-core Snapdragon 400 processor, 1 GB of RAM, and a 5 MP rear camera with 1.3 MP of front camera, internal storage of 8/16 GB. The connectivity specs are Wi-Fi 802.11 b/g/n, Wi-Fi hotspot, Bluetooth 4.0, microUSB 2.0. It will have a battery of 2070 mAh. The new moto G 4G and LTE enabled will be having Android Kitkat operating system. The device will be available in black and white front colors. The phone was already leaked on the amazon with the price of $219. you can pre-order the device on amazon as it is available there to be delivered in month of june.